What would it take to make you happy? People may give various answers to this question, but what each answer reveals is the longing that people have in their hearts. If you could sum up for all people as to what would make them happy, it would be that their hearts would be full and without want. For some people, it may be to be out of debt. For another person, it may be to have a spouse. If you asked a person living in an impoverished situation, their answer may be to have enough food to eat each day. 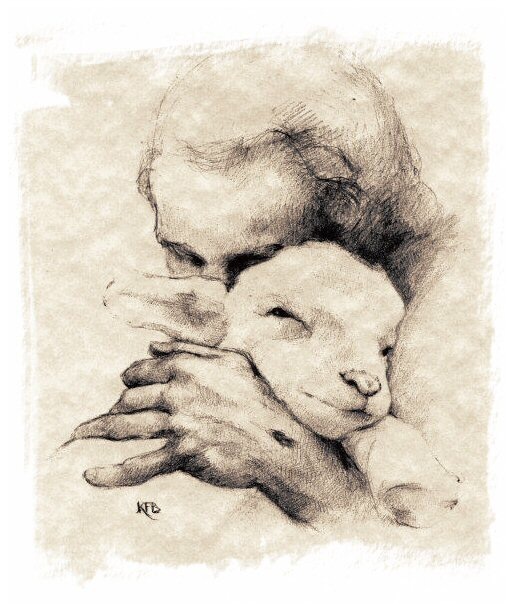 King David said it wisely, “The LORD is my shepherd, I shall not want.” This statement is insightful in that David recognized the shepherd was everything that he needed and that because he had the shepherd, he did not have any needs. This does not mean that he was in possession of everything that he ever would need. He recognized that it is the shepherd who would supply his needs and that because he had the supplier of his needs, he really had everything he would ever need. Have you recognized this for your life? You have everything you will ever need in the shepherd: everything for your marriage, child raising, work, ministry and personal happiness. When you are abiding in the shepherd, your heart will be satisfied and lack nothing. However, if you find your heart becoming barren and longing for something that you just cannot identify, it is because you ceased abiding in the shepherd. You begin to want because you wandered from the shepherd. If you want to be like David and in your heart experience the joy of being without want, consider the following. 1. Recognize your need for a shepherd. 2. Decide to trust the shepherd. For some, it may mean them accepting his payment on the cross for their sin as what they need in order to be saved and accepted by God. For others, it may mean that they will cease from trying to create their own security in life and will now trust him to provide for them. 3. Follow the leading of the shepherd. Life is not a brightly lit way down a path of lovely flowers. It is filled with darkness, evil and heart ache. When you follow him, he will lead you in the path that is best for you. 4. Feed on what the shepherd provides. Spend time with him in prayer and reading his word. From it, you will gain strength, nourishment and guidance. 5. Sit at the feet of the shepherd. I am reminded of a German Shepherd that I once had. She would lie down at my feet and look up at me in adoration. I was strong and she loved strength; I am loving and she loved my attention. She would look at me and wait to be noticed. When I would reach out to touch her, she would soak up the attention. Did you know, that God wants that with us. He wants us to sit at his feet and look to him. He wants to pour out his blessing of fellowship and love and when we experience this, we will recognize that everything we would ever want or need is found in him. 6. Rejoice in what the shepherd has provided to you. When you do, this rejoicing will be revealed in every aspect of your life. The lost and the saved will see it, but best of all, your heart will be drawn even closer to the shepherd.